2010 Grady-White Freedom 225 What~a~Find! 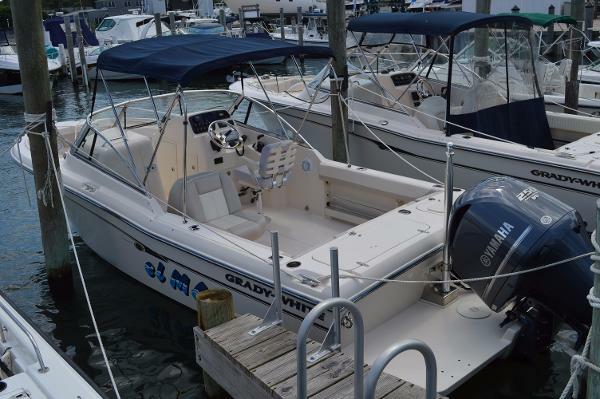 2010 Grady-White Freedom 225 Dual Console with only 220 hours on the Yamaha 250 four stroke. No bottom paint and it is lift stored. There is a trailer available for an additional fee. The lift the boat is sitting on is also for sale. 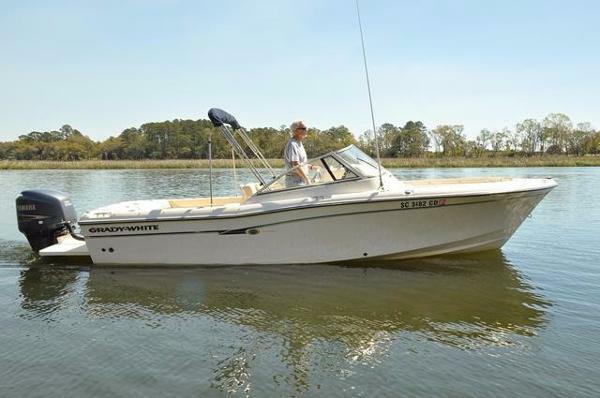 The seller is moving on to a saltwater fishing boat with a cabin; so, this one has to go. Nice electronics and ready to take on the fish! Call today to set-up a showing! 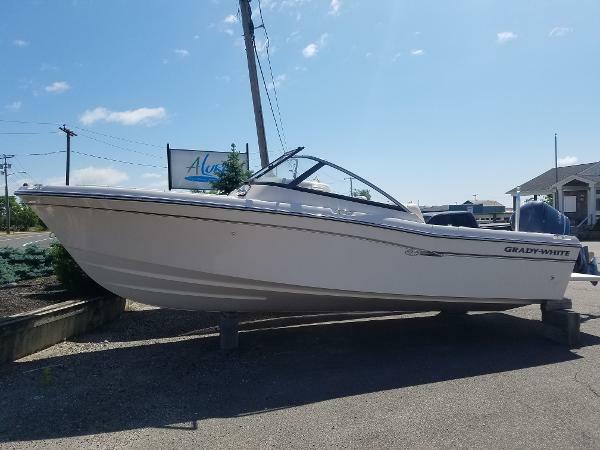 1991 Grady-White Freedom 225, 1991 Grady White dual console with a Yamaha 225HP outboard, ridgid soft top, Simrad CE32 GPS, Garmin 740S plotter/sounder, Icom VHF radio, marine stereo, Ritchie compass, Yamaha digital gauges, trim tabs, raw water wash down and fresh water system. 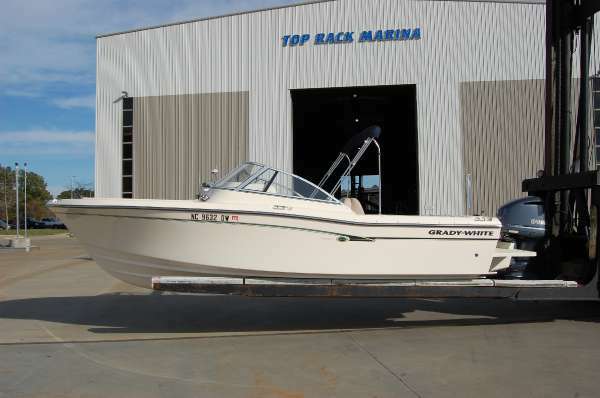 This is a great all around boat for fishing or family cruising. Lots of room in the cockpit to move around.Length 22 ftTotal Power225.0 hpDisclaimerThe Company offers the details of this vessel in good faith but cannot guarantee or warrant the accuracy of this information nor warrant the condition of the vessel. A buyer should instruct his agents, or his surveyors, to investigate such details as the buyer desires validated. This vessel is offered subject to prior sale, price change, or withdrawal without notice. 2016 Grady-White Freedom 225 This 22-foot dual console proves there is no compromise in buying a sportfishing boat for family boat use. 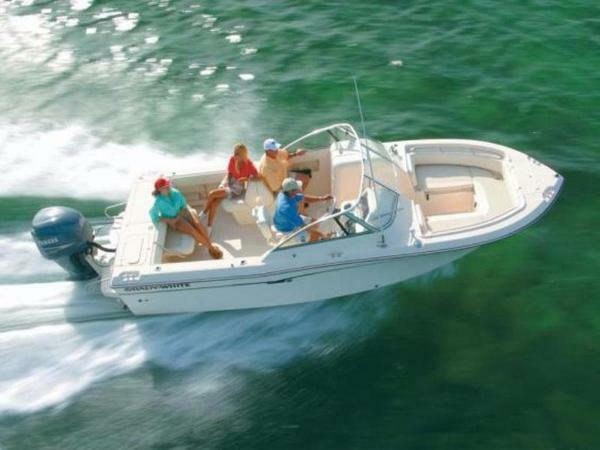 The Freedom 225 does it all, in big waves or backwater. 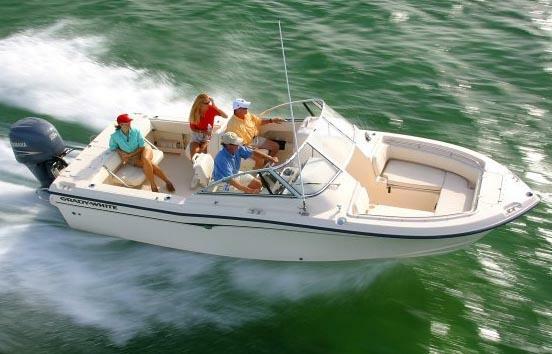 Complete with outboard bracket adding cockpit room, plus great seating and an easy-access enclosed head area, Grady’s 225 is a true boat value. 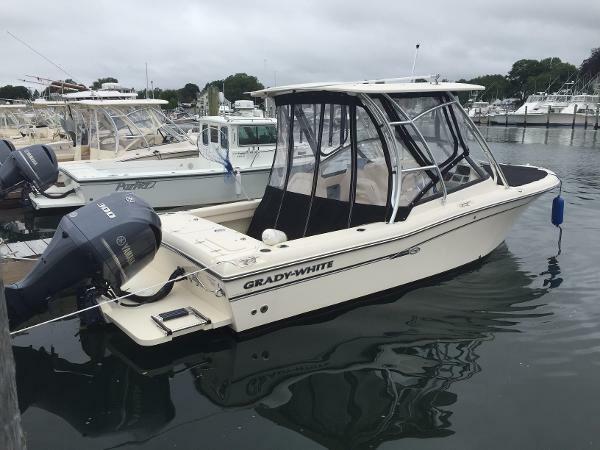 2012 Grady-White Freedom 225 MOTOR: Yamaha V6 4-stroke 250hp MOTOR WARRANTY: Y.E.S warranty thru 9/17/17 HOURS: 105 PROP TYPE: Stainless Steel TANK SIZE: Fuel- 89 gallons Fresh water- 10 gallon CANVAS: Front & side curtains, Bimini top (Blue), Bow cover ELECTRONICS: Garmin 740s GPS/ Fish finder, Standard horizon VHF, Kenwood stereo, Yamaha multifunction gauge OPTIONS: Swim platform w/ ladder, aft fold down seat, freshwater shower, trim tabs w/ indicator, (2) batteries w/ switch, ski pylon, (4) rod holders, electric horn, back-to-back companion seat, porta-potti w/ side pumpout, bow cushions, fire extinguisher, (4) life jackets, (2) fenders, flares, horn SPECS: LOA- 22’2” • Beam-8’ • Draft- 16” • Passenger Capacity- 10 SALES / SERVICE / CUSTOMER HISTORY: Fall 2015- new water pump, new thermostat, battery service The Company offers the details of this vessel in good faith but cannot guarantee or warrant the accuracy of this information nor warrant the condition of the vessel. A buyer should instruct his agents, or his surveyors, to investigate such details as the buyer desires validated. This vessel is offered subject to prior sale, price change, or withdrawal without notice. 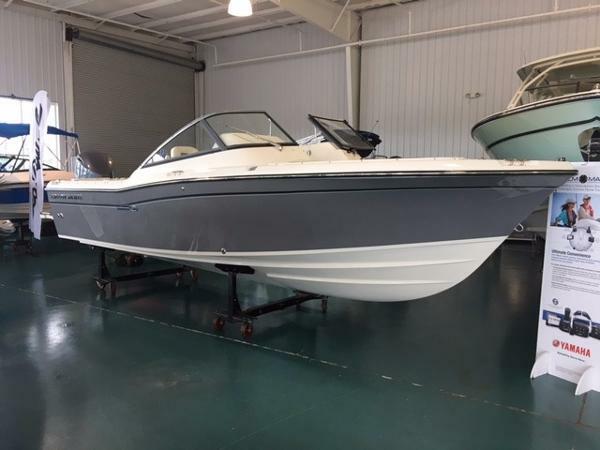 2015 Grady-White Freedom 225 Just Traded In, 2015 Grady-White Freedom 225 Dual Console Powered By A Yamaha F300XCA Digitally Controlled Motor. This Beautiful Dual Console Has Only12 Hours on Her! 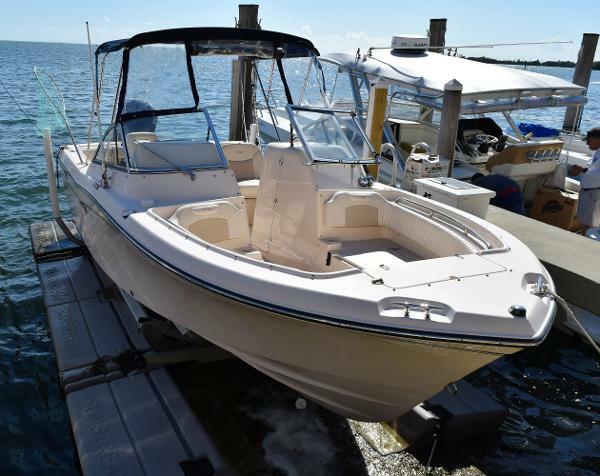 Electronics Package Includes A Garmin 741XS W/B150M Transducer/Chirp.,Garmin 100 VHF, Fusion Stereo,Cockpit Bolsters, Cockpit Shower, Raw Water Livewell, Raw Water Wash Down, Head W/ Macerator, Deluxe Helm Chair 2 - Stbd, Lounge Seat-Port W/Sliding Backrest, Hard Top, Black Bow Cover, Black Front And Side Curtains,Black Drop Curtain,Black Bottom Paint.CG Package. 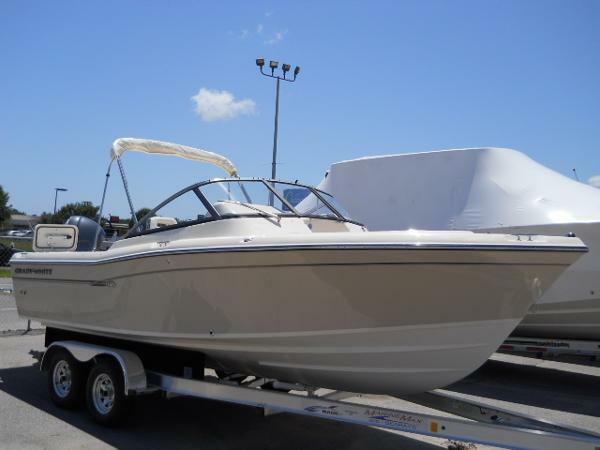 We Are Open 7 Days For Your Convenience,So Come By And See This Boat In Our Showroom. 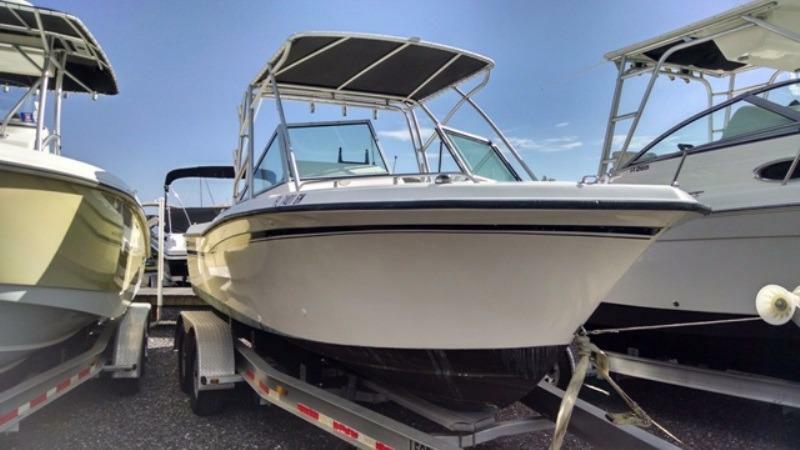 2015 Grady-White Freedom 225 RARE OPPORTUNITY TO OWN A BRAND NEW 2015 LEFTOVER! 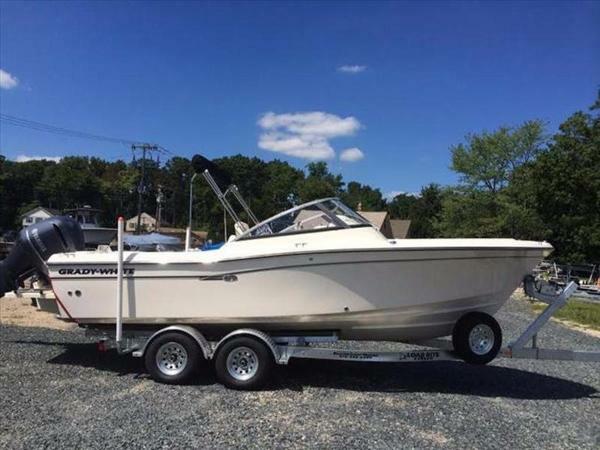 Brand new, never used 2015 Grady White 225 Freedom powered by a 2015 Yamaha F250 four-stroke outboard. Cockpit bolsters, Deluxe II Helm Chair, Portable Head W/Deck Pump-out, Livewell, Ski Pylon, Port Side Sleeper Seat, Fusion Stereo 700i W/Bluetooth, Raw Water Washdown, Fresh Water Cockpit Shower, Bimini Top, Ivory Front, Side and Rear Drop Curtains, Sun Platform W/Cushion. 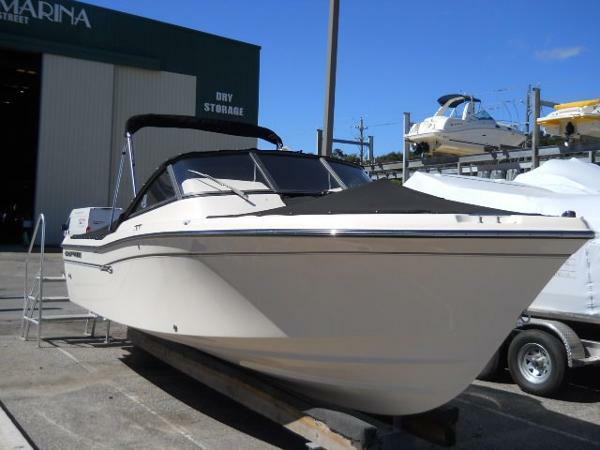 Current Retail Price of this Boat new is Over $112,000. End of Season Sale to Move Inventory Going on Now! Rock Bottom Price on a NEW Nicely Equipped Grady! 2015 Grady-White Freedom 225 The multi-tool of the sea, the dual console Grady-White Freedom 225 is ready to take on the challenges of offshore sportfishing. However, it is equally at home shepherding the grandchildren on day-long adventures of exploration and water sports. 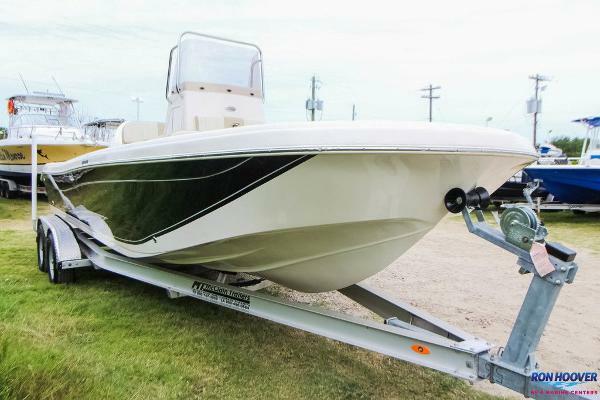 Built with a fold away aft bench seat, the transom has a built in 175-quart fish box to port and a 22-gallon storage box that can be upgraded with an optional livewell. The large aft cockpit provides plenty of room to move around when the bite is on. The helm and companion seats are pedestal mounted buckets. An optional port sleeper seat is available that can be used as a sun pad. The lockable head enclosure under the port console provides all day comfort with the standard portable head. Moving forward, the center windshield walk-through provides safe access to the forward cockpit where there is plenty of bow seating. Ample storage is located under the seating with an insulated box on the starboard side for keeping things cool. Horizontal rod racks and lockable tackle storage keeps gear off the deck and stowed where it belongs. The powerful Yamaha four-stroke outboard is mounted on a transom bracket maximizing the aft cockpit space and fishability. 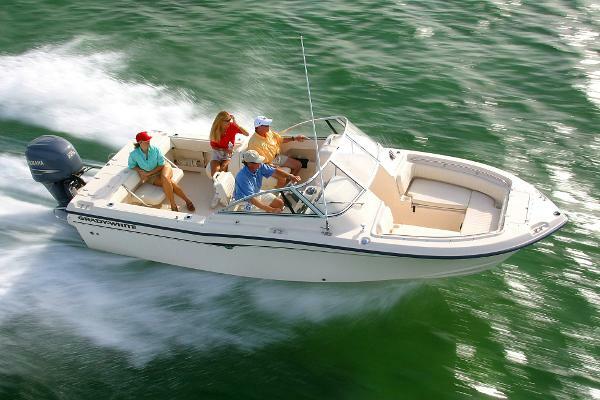 Declare independence with the Grady-White Freedom 225.